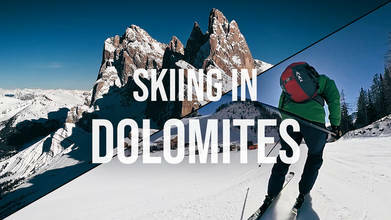 With some of the best skiing in Europe, the Dolomites mountain region of northern Italy is a site to see. The region was named a UNESCO World Heritage Site in 2009 and the mountains are also known as the Pale Mountains. Shared by the provinces of Belluno, South Tyrol, and Trentino there are dozens of world-renowned resorts to chose from. Drone pilot Pavlo Glazkov gives us an aerial preview of what skiing in the legendary area would be like in this short film.